Despite a couple big-name companies like Groupon and Zynga lining up for IPOs, the demand for private company stock on alternative exchanges keeps rising. Private stock transactions on SecondMarket in the first three quarters of 2011 totaled $435 million, a 73 percent increase over the same period last year. In the third quarter alone, there were $167 million worth of transactions on SecondMarket, up 49 percent from the second quarter. Who is buying all of these shares? SecondMarket breaks it out in its third quarter report. Wealthy “accredited individuals” made up the largest share of buyers (63 percent by dollar amount), followed by asset managers (22.3 percent of transactions), hedge funds (7.8 percent), and venture capital funds (5.1 percent). VC funds became much more active on SecondMarket in the quarter, accounting for 17.5 percent of the transactions by number. Last quarter, VCs made up less than 1 percent of transactions (and only 0.2 percent by dollar amount). On the seller’s side, former employees made up the bulk of completed transactions (64.5 percent). But current employees took the No.2 spot with 16.9 percent of transactions , nearly quadruple the 4.4 percent of transactions they represented in the second quarter. The number of transactions with investors selling doubled to 8.4 percent, signaling that secondary markets are becoming a more accepted liquidity valve for current employes and shareholders. 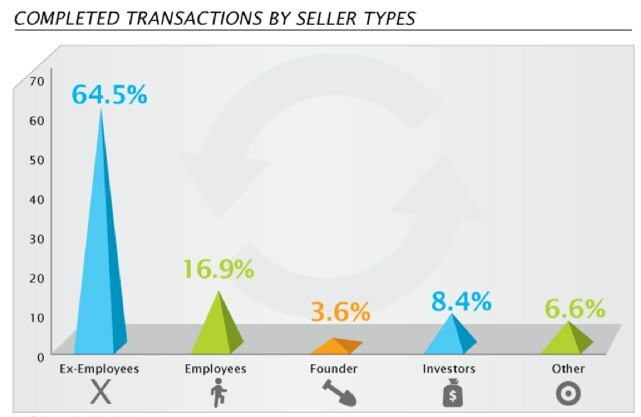 Founders represented the smallest amount of transactions, at 3.6 percent, but that is up from 1.9 percent last quarter. SecondMarket also tracks the “most watched” companies on its service, which is an indication of investor interest. The most watched companies didn’t change from last quarter: (Facebook, Twitter, Groupon, Zynga, Foursquare, Dropbox, etc.). 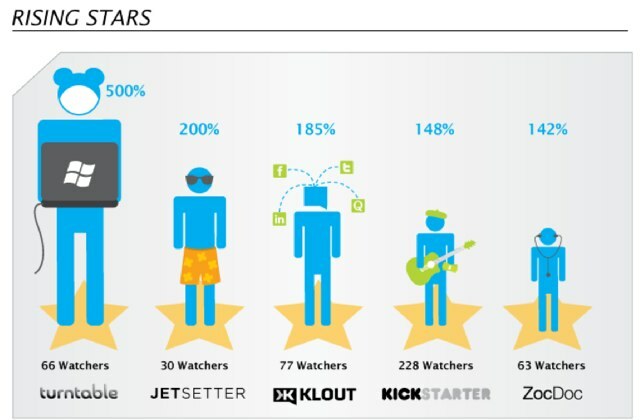 But there is a new group of “rising stars.” These include Turntable, Jetsetter, and Klout. 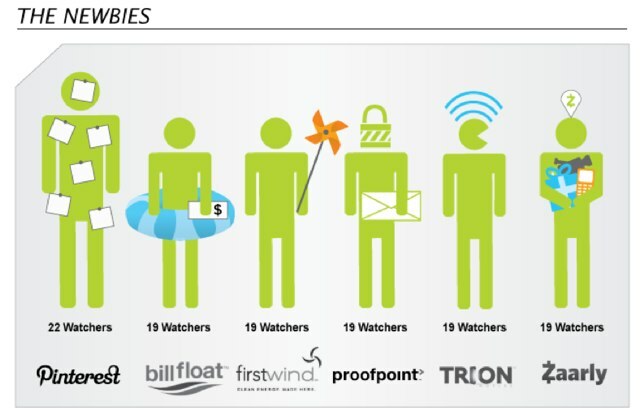 And then bubbling up just below the rising stars are the “newbies”: Pinterest, Billfloat, Firstwind, Proofpoint, and Zaarly . Hmm, is there a correlation between how much press a company gets and interest on SecondMarket?